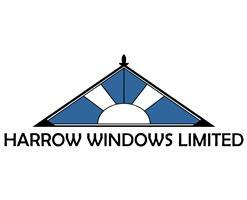 The Harrow Window & Conservatory Co Ltd - Windows/Doors/Conservatories based in Pinner, Greater London. An experienced and fully insured small family business based in Hatch End, Middlesex. The supply and installation of hardwood, aluminium and uPVC windows, doors, conservatories, home extensions and general building work. We are particularly proud of our conservatories and our stunning range of bi-folding sliding doors. Our commercial contracts included the installation of mirrors and glass walls throughout several branches of Marks and Spencer, including the Marble arch and Kensington stores. One to one customer service every time you call us. As home-owners ourselves we recognise that having installation work carried out in your property can be a demanding and stressful experience. At Harrow Windows we work with each customer to make sure that it is as smooth and as pain-free as possible. Pinner, Edgware, Harrow, Watford, St Albans, Uxbridge, Middlesex, Hertfordshire, Bucks, Berkshire.